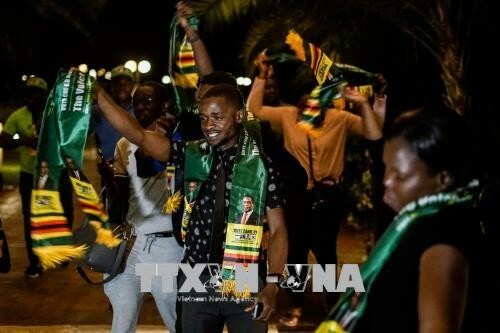 (VOVWORLD) - The Zimbabwe Election Commission on said Friday that incumbent President Emmerson Mnangagwa won Zimbabwe's presidential election. With all 10 provinces declared, Mr. Mnangagwa had 50.8% of votes, compared to 44.3% for opposition leader Nelson Chamisa. This has been Zimbabwe’s first presidential election since President Robert Mugabe stepped down last year, completing his 30-year service.